Named for a famous Battle between Indians and Fur Trappers in 1841, Battle Pass is A 57-mile paved highway over the crest of the little-visited Sierra Madre Mountains of the Medicine Bow National Forest. 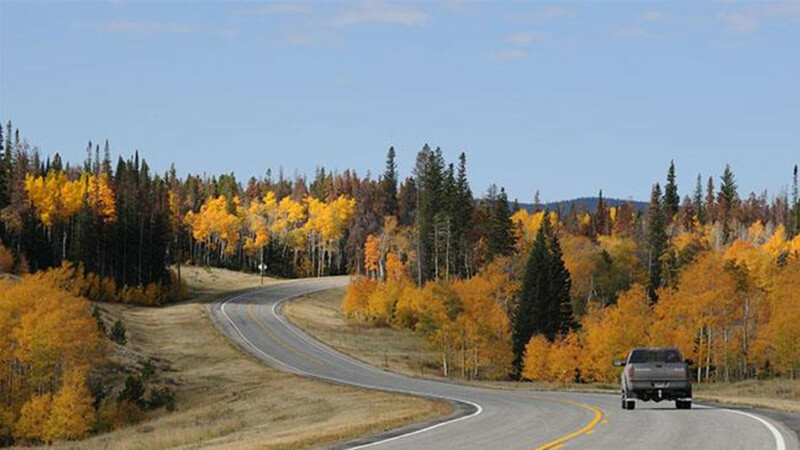 This drive is a beautiful route that climbs high over the Sierra Madre of southeastern Wyoming. The Battle Highway Scenic Highway (WY 70) goes from Encampment over the Sierra Madre range. Approximately 10 miles west of Encampment is the location of Battle, one of many ghost towns in the Sierra Madres, which also is home to the towns of Redefeha, Dillon, Rambler, and Copperton. 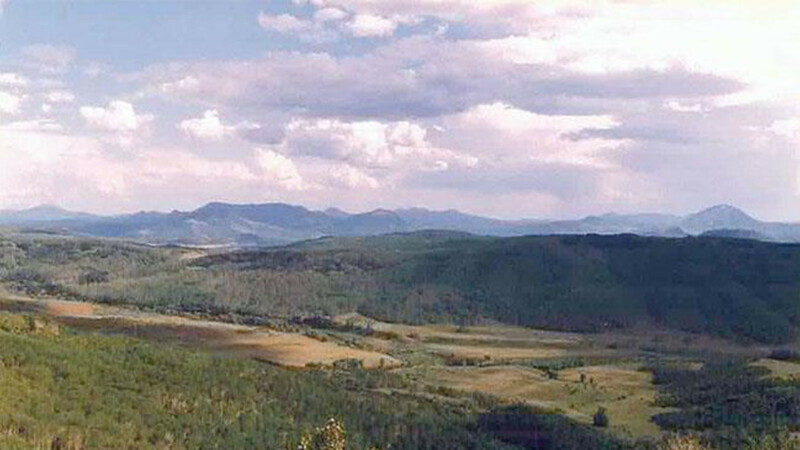 Two miles west of the Continental Divide is a turnout overlooking Battle Lake and a monument to Thomas A. Edison. While vacationing here in 1878, Edison threw a broken bamboo fishing pole in the fire and was intrigued by the way the frayed pieces glowed. These observations supposedly gave Edison the idea on how to develop his own design for the light bulb's filament. Another attraction of the Sierra Madres is the Aspen Alley. 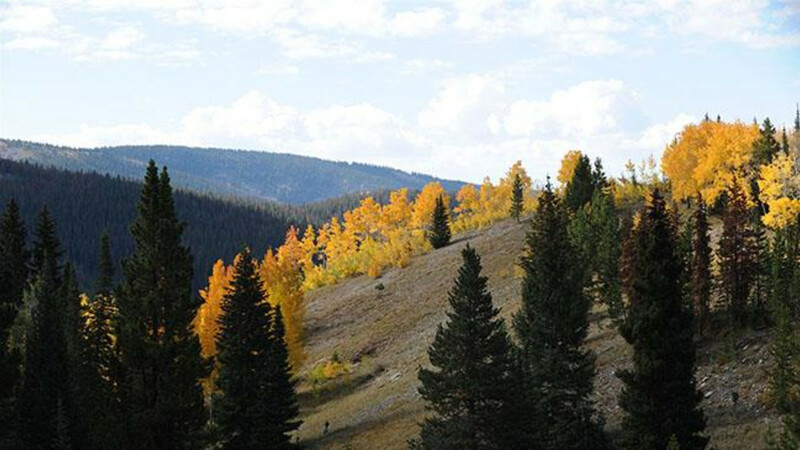 These large stands of quaking aspens moved into the region during the mining era. This particularly famous strand of beautifully flamboyant foliage is most beautiful in the fall and can be reached by turning north on Forest Road 801. 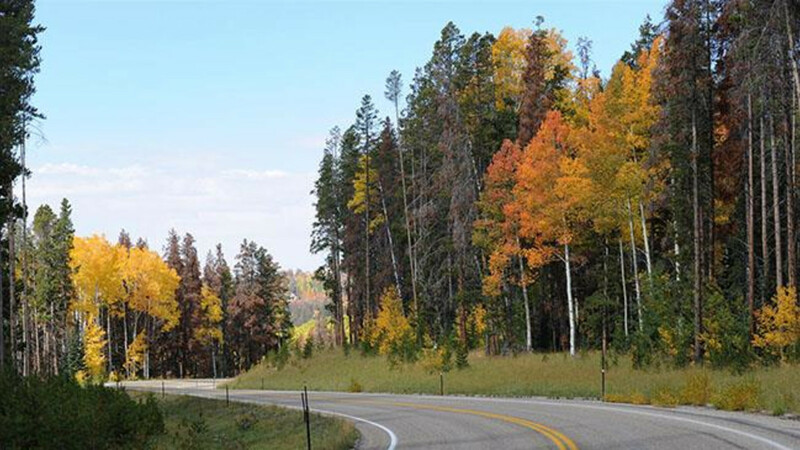 The colors generally peak in late September but current conditions can be obtained by calling the Encampment Forest Service office at 307-327-5481.